I had alot of zucchini from my last visit to the farmers market and wasn't sure what to do with it. 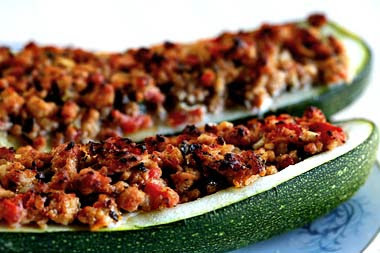 I found this recipe online and wow...never new zucchini could be so good. Give it a try, you'll like it. 1 Cut zucchini in half lengthwise. Scoop out insides, leaving shells about 1/4 inch thick. Reserve about half of the insides. 2 Heat 2 Tbsp of olive oil in a skillet on medium high heat. Sauté onion and garlic until soft. Add mushrooms and reserved zucchini insides, and sauté another 2 minutes. 3 In a separate skillet heat a Tbsp of olive oil on medium high heat. Add the ground turkey. Lightly brown the turkey, stirring only occasionally. After the turkey browns on one side, stir it so that it has a chance to brown on other sides. Cook until the ground turkey is lightly browned, about 6 minutes. Stir in the onion and mushroom mixture from the other pan. Add the wine. Stir in tomato, basil and rosemary and cook 1 minute longer. Drain any excess fat. Remove mixture from heat and set it aside. 4 When mixture has cooled, add cheese, egg, salt and pepper. Fill zucchini shells with mixture. Fill a baking pan with 1/4 inch of water. Place filled zucchini halves in pan and bake at 375 degrees for 40 minutes, until golden brown. Remove zucchini from pan and serve while hot. This is a great Summer salad. Perfect for a picnic in the park :) Enjoy! 1.Cook pasta in a large pot of boiling salted water until al dente. Drain and cool under cold water. Refrigerate until chilled. 2.Prepare the dressing in a small bowl by whisking together the olive oil, lemon zest, lemon juice, walnuts, and honey. Refrigerate until chilled. 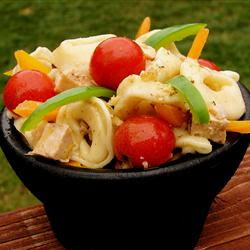 3.In a salad bowl, combine pasta, peppers, red onion, olives, and chicken. Add lemon dressing and feta cheese, toss and serve. Roasted Garlic is a simple but sophisticated looking treat to add to just about any occasion. Plus it tastes great and is super healthy for you. Start by taking whole garlic bulbs, peel off any loose skin but keep the bulb in tact. Don't peel it. Lay on small pieces of aluminum foil and drizzle one tablespoon of olive oil over each bulb. Add either fresh thyme or rosemary sprigs and then wrap in aluminum foil and stick in preheated oven. Bake 35 to 40 minutes until soft. There you have it delicious roasted garlic!! **Tip** if you want it to be easy to eat right out of the bulb then cut a very small slice of the bulb off the top prior to sticking in the oven. That way you can just dig the cloves out...one by one. Heat oven to 425°. Put a sturdy 8- or 9-inch iron skillet,square baking pan or small loaf pan in the oven. In a large glass measuring cup or a bowl, whisk the 1 1/2 cups of milk with the egg and melted butter. Stir into the dry mixture until blended. 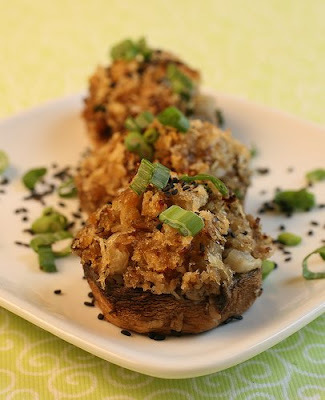 These vegan stuffed mushrooms are simply delicious!! An excellent addition to any party or special ocassion. First, remove the stems from the mushrooms. An easy way to do this is to cup one in your writing hand, stem up, and gently but firmly twist and pry the stem out. Then use a small spoon to remove any remaining stem. Do not discard the stems; chop them up small and set them aside. It’s common to break a mushroom or two, which is why the recipe calls for twenty-two mushrooms but stuffs twenty. If one breaks and can’t be used, just chop it up along with the stems. If you have a mushroom stem–removing talent and manage not to break any, then finely chop the two extras anyway. Preheat a large skillet over medium heat. Pour in the peanut oil and sauté the chopped mushroom for about 3 minutes, until some moisture has released. Add the diced daikon and cook for 5 more minutes, stirring often. Add the garlic and cook for a minute longer. At this point, lots of moisture should be released from the mushrooms. Add the mirin, salt, and white pepper, and cook for about 2 minutes. Turn off the heat and add the panko in 1/2-cup batches and stir, alternately adding the sesame oil and splashes of water (up to 4 tablespoons) until all the bread crumbs are moist. 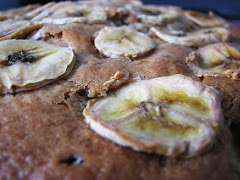 The mixture should be crumbly but, when you press some between your fingers, it should hold together. Mix in the scallions and adjust the salt to taste. Grease a baking sheet with a little sesame oil. Stuff each mushroom with the filling and place on the baking sheet. To stuff them, place a little of the filling into the mushroom crevice and then add another tablespoon on top of that, pressing firmly to form a mound. Bake for 20 minutes. To serve, sprinkle the toasted sesame seeds over the mushrooms and drizzle with a little sesame oil, if desired. Garnish with extra chopped scallions. If you are going for a fancy plating, place a few mushrooms on a handful of raw spinach leaves.